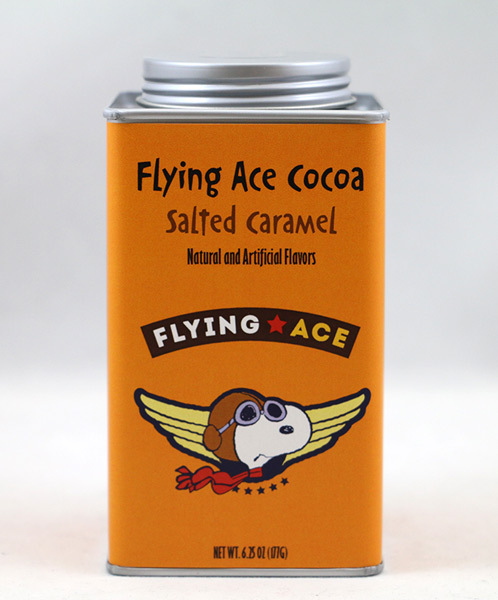 The Flying Ace Salted Caramel Cocoa Square Tin comes in a custom made, 6.25oz tin. The tin features an image of Snoopy as the Flying Ace on the front. The cocoa makes approximately 5 servings.